In Japan, if the parent who does not have physical possession of a child is allowed to have visitation with the child it will generally be limited to a few hours a month and be strictly supervised – usually in the courthouse, a police station or a lawyer’s office – if there is even slight acrimony between the parents. Family court orders concerning visitation are essentially unenforceable. Court-ordered international visitation is entirely unprecedented and to my knowledge has never been ordered by any Japanese court, although I have worked on many cases in which a non-Japanese parent has requested it. The leader of the “Parents and Children’s Network” has welcomed the proposal but has suggested that the prospective legislation “should stipulate standards for visitations so children can promptly receive the love of both parents” after divorce. However, the notion that children should visit the non-custodial parent (usually the father) is quite controversial in Japan. The proposed legislation will surely face strenuous opposition. While a law might perhaps be enacted, whether it will actually be meaningful and enforceable is a totally different issue. 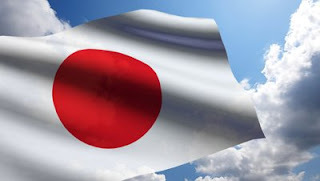 (Likewise, Japan’s belated adoption of the Hague Abduction Convention was extremely controversial and was implemented only by means of an implementing law that has major loopholes and tremendous enforcement challenges). In my field of international family law, the situation is completely unsatisfactory. It means that a non-Japanese parent whose ex-spouse has the parties’ children in Japan cannot see his children unless the Japanese parent chooses to permit him to do so. If she does permit it, the visitation will invariably be no more than occasional, will be strictly supervised and will occur only in Japan. And for cultural reasons this sad state of affairs is seen as completely normal, and indeed appropriate, in Japan.